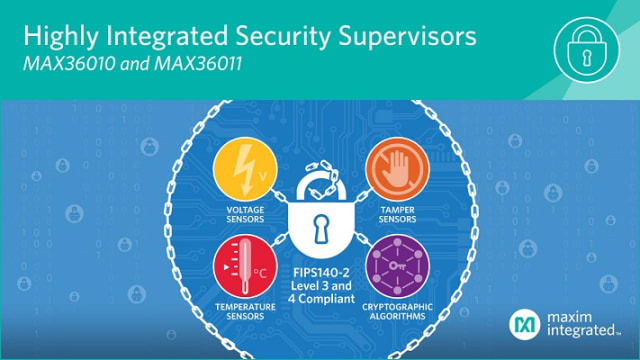 Maxim has developed the MAX36010 and MAX36011 single-chip security supervisors, which offer increased security that can be integrated into a design at any stage of its development. Additionally, if these parts are integrated at a later stage of the design cycle, there is no need to change the platform to accommodate them, thereby simplifying the implementation process. For more information, visit Maxim’s website. 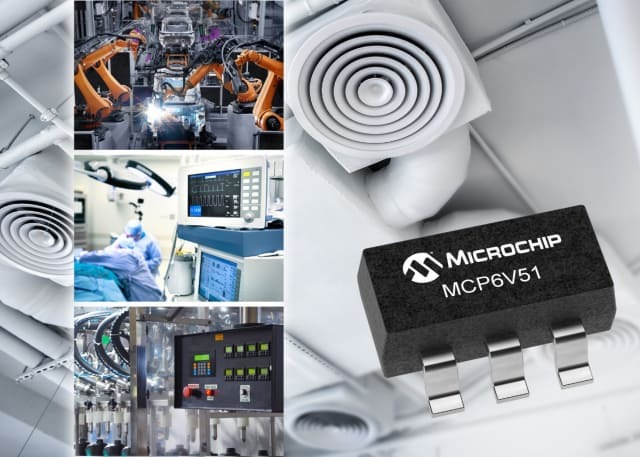 Microchip has announced the MCP6V51 zero-drift operational amplifier, a device that provides precision measurement while minimizing the increasing influence of high-frequency interference. It achieves this by providing an improved operating range and on-chip electromagnetic interference (EMI) filters. The growth of industrial control and factory automation has led to an uptick in the number of sensors that need to be monitored, and the MCP6V51 amplifier is designed to provide accurate, stable data from a variety of sensors. The self-correcting zero-drift architecture of the MCP6V51 enables elevated direct current (DC) precision, providing a maximum offset of ±15 microvolts (µV) and ±36 nanovolts per degree Celsius (nV/°C) of maximum offset drift. For more information, visit Microchip’s website. 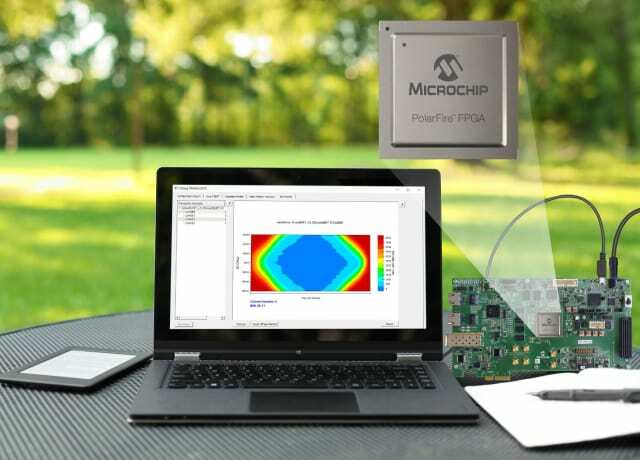 Microsemi has released its Libero SoC version 12.0, which provides gains in runtime and quality of results, as well as a unified design suite for the company’s FPGA families, including the latest releases of PolarFire FPGAs. A streamlined design suite for PolarFire, IGLOO2, SmartFusion2 and RTG4 FPGAs eliminates the need for designers to qualify multiple pieces of software when working across product families. Libero SoC v12.0 now also supports FPGA Hardware Breakpoint (FHB) for RTG4 and PolarFire devices, PCIe debug support for PolarFire, and continuous transceiver eye monitoring using SmartDebug. For more information, visit Microsemi’s website. RS Components has launched the Fluke 710 mA Loop Valve Tester, an easy-to-use tool that simplifies the testing of control valves and allows for the quick measurement of critical valve readings using a two-wire connection. Traditionally, complex equipment has been utilized for control valve testing, but these complicated devices have required extensive training for users, as well as removal of the control valve under test, and potentially one or two hours of bench testing. 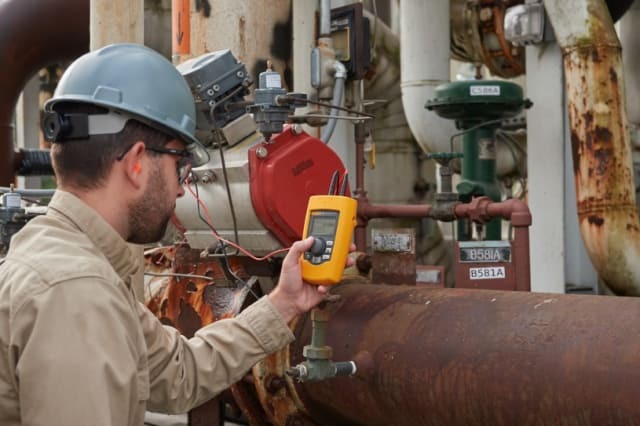 The Fluke 710, however, offers built-in test procedures and an intuitive interface that includes valve status indicators. For more information, visit RS Components’ website. 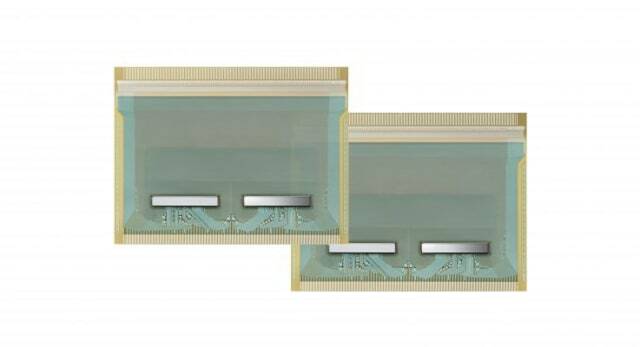 Samsung has unveiled an 8K display driver IC (DDI) that helps create true-to-life 8K resolution in TV designs with an intra-panel data transfer speed at up to 4Gbps. The boost in the DDI’s data transfer capability enhances the efficiency of a display’s system performance and reduces the need for additional components. This also allows more streamlined product designs for slim bezel-less TVs with display sizes that are 65 inches and larger. For more information, visit Samsung’s website. Missed last week’s Electronics Weekly? Click here.